It’s hard to believe Clem’s journey is coming to an end. Just like you guys, we’re struggling to grasp the fact that the journey is almost over. But we’re so ready and thankful to have all of you alongside us as the story comes to a dramatic close. Episode 4 titled 'Take Us Back' will be launching on March 26th and see the end of Clementine's story finally. 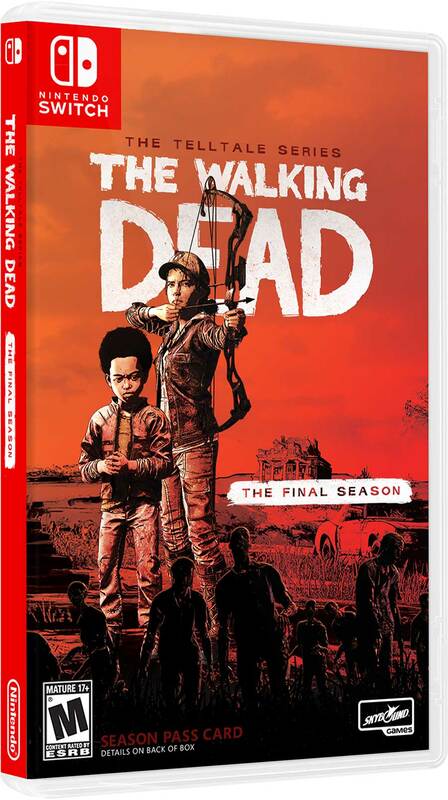 But Skybound has also announced that on the same day you'll be able to pick up physical editions of the season on PS4, Xbox One and Nintendo Switch which features artwork showing Clementine aiming a bow with AJ by her side. The blog post on the website also mentions that Skybound has 'something juicy coming up this month' which may just be the trailer for the final episode, but we shall see. We are not long from seeing the end of the Telltale’s Walking Dead series come to an (hopefully fitting) end.